In the company of Feeldouro you can discover the best sceneries of the Douro and its most picturesque corners, while enjoying different programs and services such as show cooking or lunches and dinners on board. Situated in Douro Marina, Feeldouro has a privileged localization in Foz do Douro. This is one of the starting points for a cruise on the Douro, with 210 navigable km and considered by many as one of the most beautiful rivers in Europe! 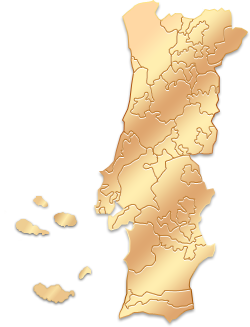 And for those who seek to know the oldest demarcated wine region in the world, may also depart from Pinhão. Feeldouro guarantees the navigation of the river throughout its length: from the mythical Foz to the border village of Barca D'Alva. In addition to the numerous suggested cruises, Feeldouro offers programs to suit your needs, meaning that they design your program, so you can make the most of your experience in Duero. With capacity for 12 people, the boats offer all the comfort and also the chance of sleeping on board (up to 4 or 6 people). If you prefer, let yourself be guided on a trip up the Douro, docking in the most famous hotels and farms along the river, a real journey through the senses in which thekey figure is the Douro. The Feeldouro provides distinguished experiences tailored to the desires of each client by offering the exclusive manned boats to groups, friends, families and companies for tours and travels on the Douro River. There are experiences from 2 hours to 7 days of travel. The vessels are ecological land use electric batteries that reduce the fossil fuel consumption and the gas emission. The navigation is very smooth and merges with nature itself. All boats have a fully equipped kitchen, bathroom, bathing platform, outdoor shower with hot water and solarium. Feeldouro has its offices in Vila Nova de Gaia but its site of action is the Douro river. The reception and boarding site can be theDouro Marinain Vila Nova de Gaia or in Pinhão. For acts beyond its control, such as weather and unfavourable navigation conditions, mechanical problems; medical emergency; strike or work stoppage at the site; or others, whit no penalty to the company. If the change occurs up to 2 days before departure, the amount of the trip will be reviewed by paying 10% of the total experience. If the change occurs between 2 or 1 day before departure, the amount of the trip will be reviewed by paying 15% of the total experience. Date changes less than one day before departure are not allowed. To the cancellation expenses may accrue any charges incurred by the company, including: transportation, accommodation, food and other services hired to outside firms, provided that they are directly related to the experience and not reimbursable. Children count as adults concerning the total capacity of passengers in the vessel.